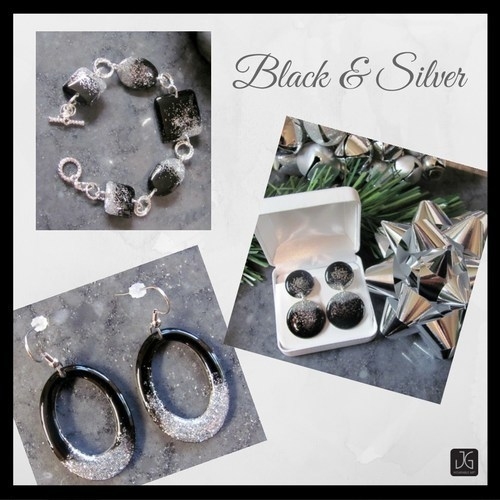 Jill Gehr Designs will be introducing new bold jewelry pieces for the holidays. 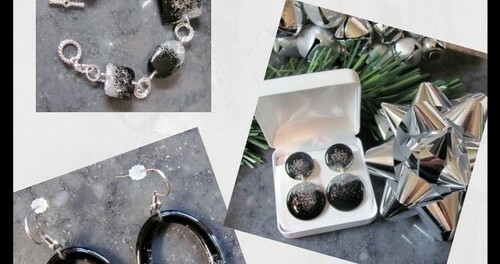 Her newest collection will consist of her signature lightweight earrings and necklaces. They can be purchased as gift sets or separates. The Metallic Elegance was inspired by her loyal customers and fans of over 6 years, and is split into three luxurious collections. Silver Elegance features reflective silver specks against the same bold black background. Silver is seen as glamorous and sophisticated like the beautiful women of the world. Lastly, Copper Elegance; this collection being a bit different, featuring a copper resin melded in with either a black or creamy white background. Akin to silver and gold, copper represents wealth, but also passion. Jill has always had a passion for art and design. Her mother-in-law taught stained glass and had a little side business designing the most intriguing pieces of jewelry she’d ever seen. From that moment on, Jill told herself she was going to master that, and she did. Jill took what she learned from her mother-in-law, honed her skills, added her own flare, and Jill Gehr Designs was born. Jill’s creations embrace her love of art, creating, designing, colors, nature and her love of photography. Jill love bold vibrant colors and it shows in her designs! The Wearable Art designing part of her business is her baby. Each piece has its own story. Jill’s designs are inspirations from customer’s requests, paintings of hers, their daughter, Loren Marie’s, or original photographs. Some of the designs can take anywhere from one week to two weeks to create from start to finish due to the process using resin, no two are ever the same as there will always be slight variations. People are so surprised to find out how light the pieces are. They look like glass, but they are not. Some are so light that you don’t even know that you’re wearing them. Which means easy on the ear lobes! Each piece is made with love from her heart and home to yours! Jill Gehr Designs is proud to offer a wide variety of items. All her jewelry is skillfully hand crafted with the simple goal to offer customer the highest quality designer pieces at affordable prices.